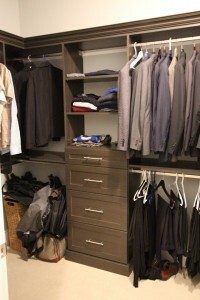 Organize your life, starting with your closet! 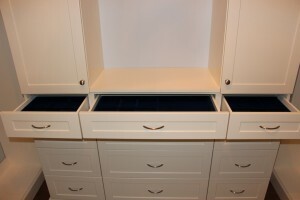 Utilize your space and eliminate the need for dressers by adding a bank of drawers to your closet. 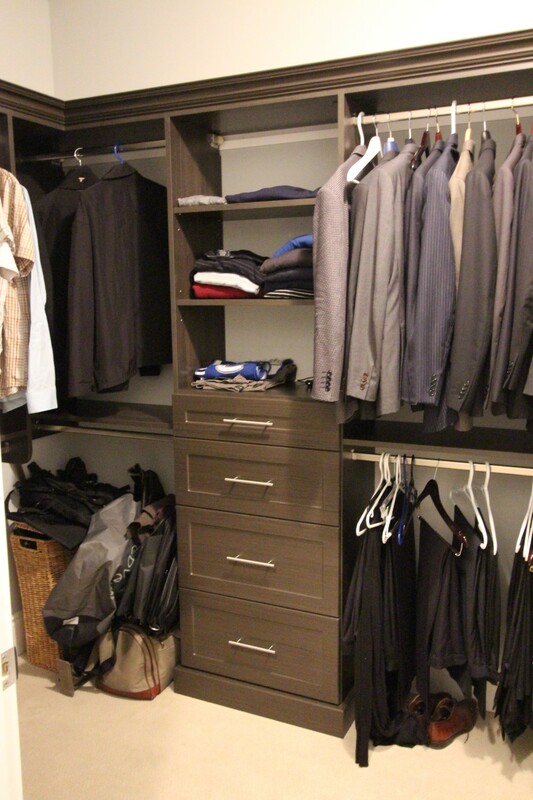 Organize your pants, ties, belts and shoes with beautiful racks and shelves. 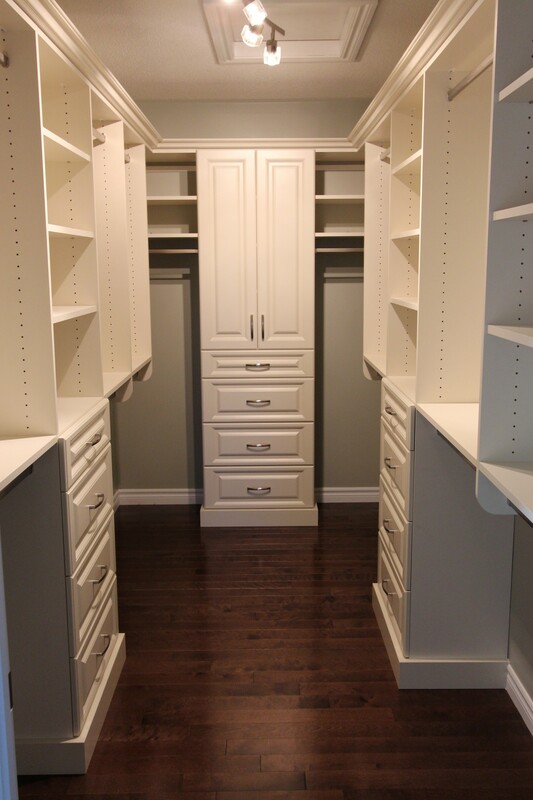 If the kids tend to toss their dirty clothes on the floor, Gum Tree Cabinets offers built in laundry hampers to eliminate the mess. With colours like Chocolate Pear, Grenada, Grey Portuna, Verbenia Pear and Antique White, your new closet is sure to add value and beauty to your home! 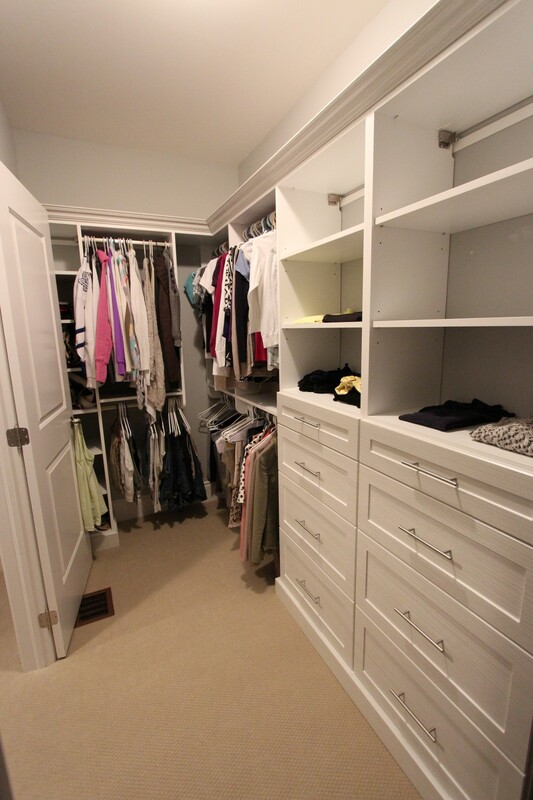 Is your closet just too small to organize? 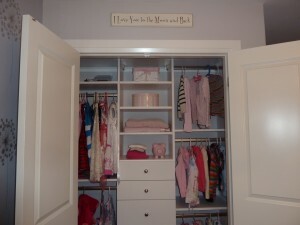 We find this situation becoming more and more common. 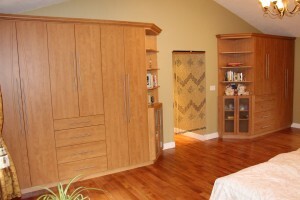 Many of the new homes have massive master bedrooms but minimal closet space. 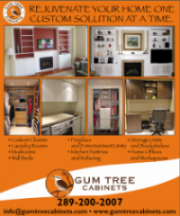 Gum Tree Cabinets has a solution for you! 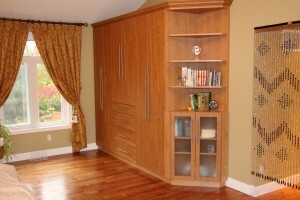 Add a beautiful custom wardrobe to that awkward corner of the room. You could even add elegant open shelving to the wardrobe for your TV and components or simply to display pictures and art. 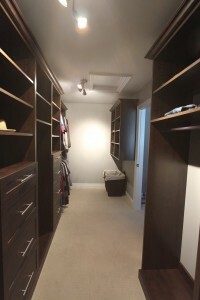 If you don’t have a large enough closet – create your own with our help. 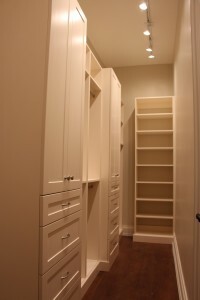 Behind the closed doors (so everything is kept nice and hidden) is loads of hanging and shelving storage for anything that won’t fit in your closet!